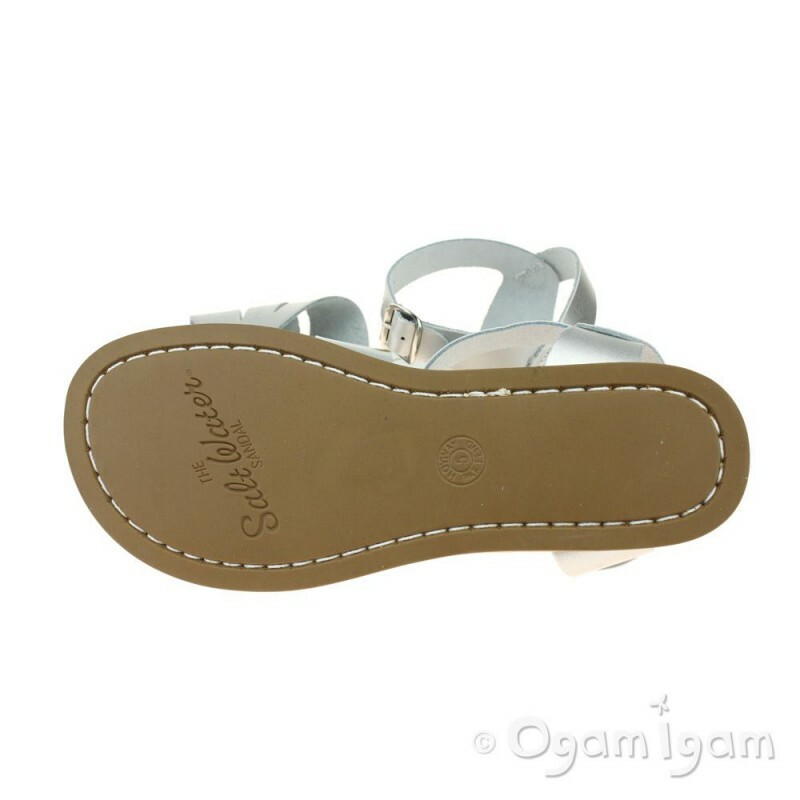 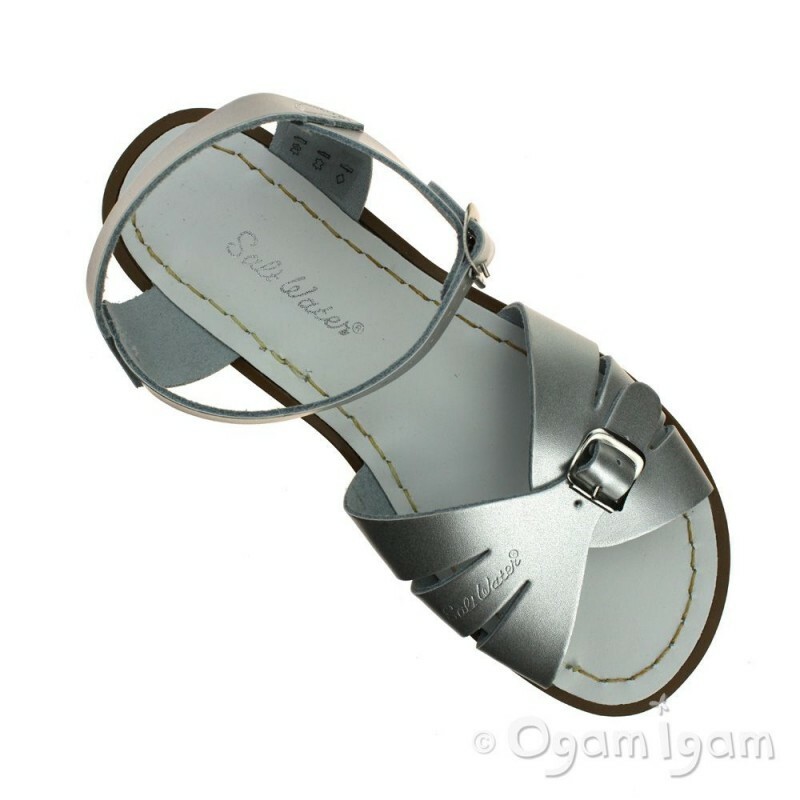 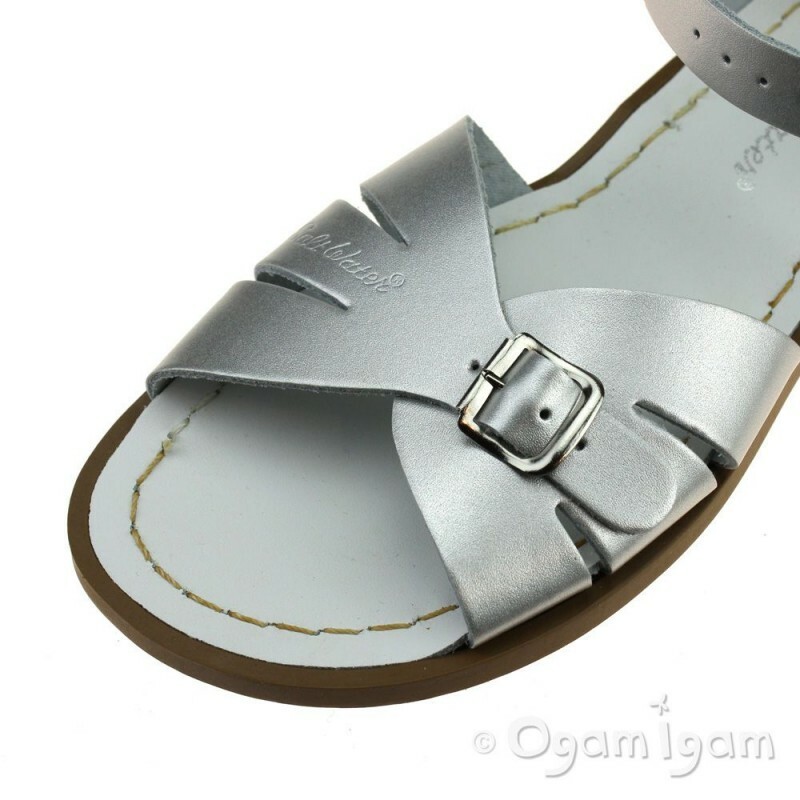 This Salt-Water womens sandal is silver is a timeless classic. 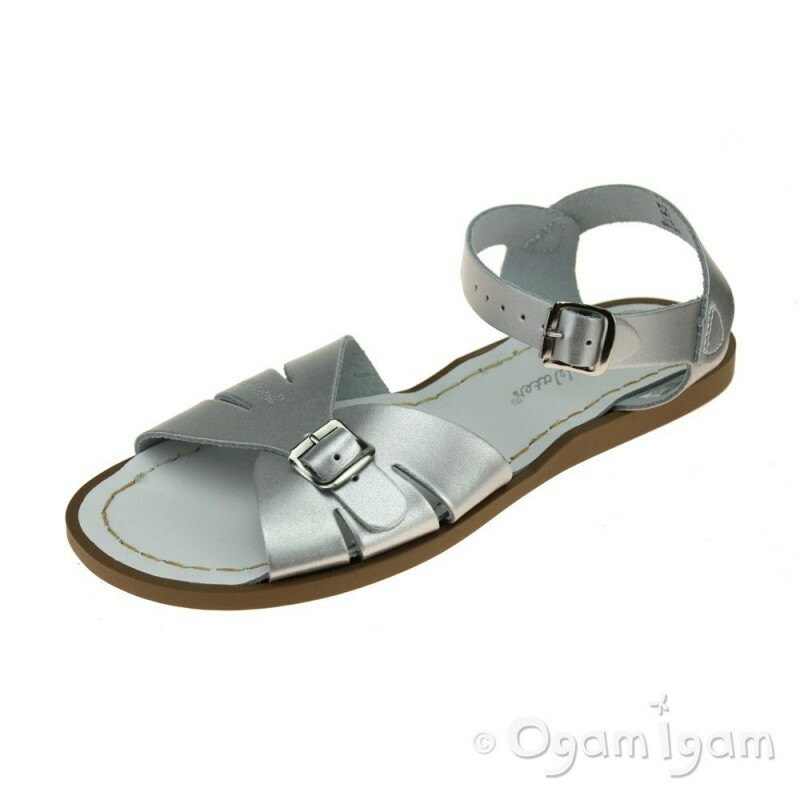 Constructed from luscious silver leather, the sandal features two buckle straps to ensure the perfect fit. 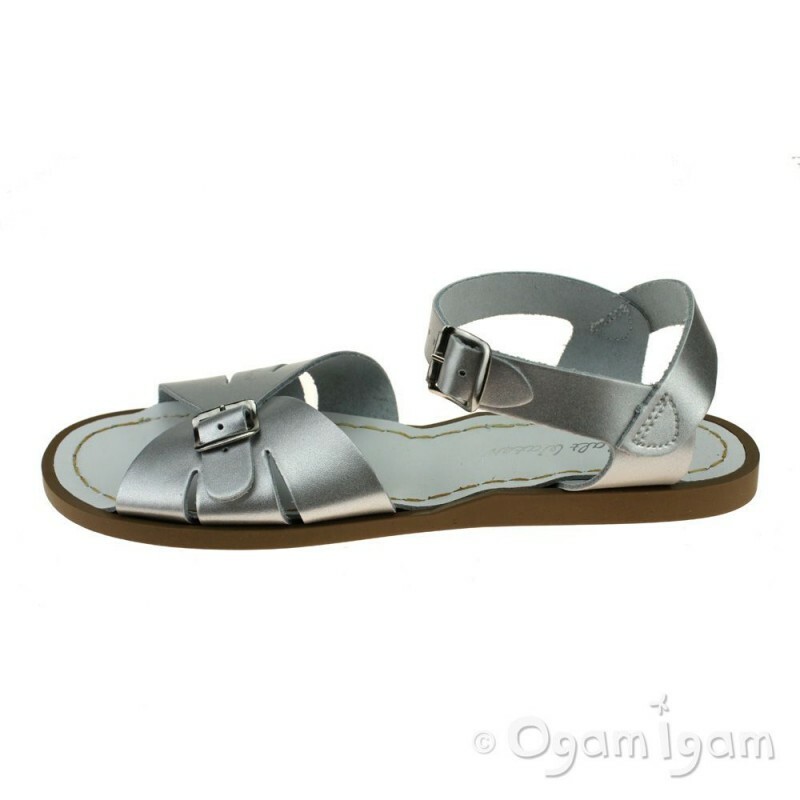 The treated leather and rust proof silver buckles allow the shoes to get wet, perfect for summer holidays! 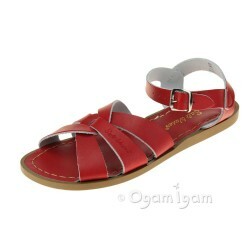 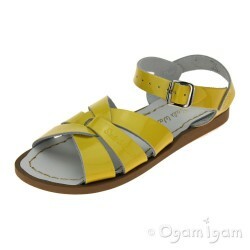 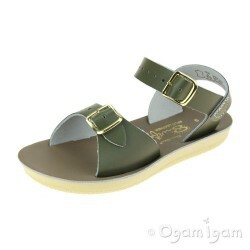 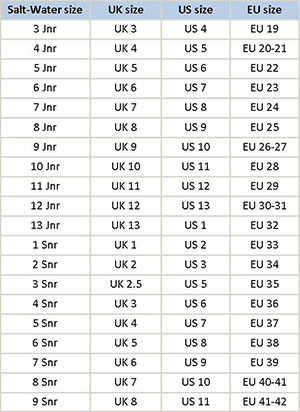 The sandal also has a leather inner sole with a durable slim rubber sole unit. 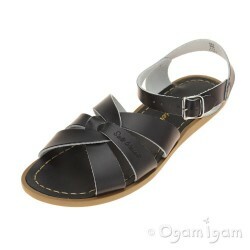 Complete with Salt-Water branding over the toe.